In a top ten NAIA lacrosse match-up, #3 Indiana Tech Warriors cruised their way to an important non-conference 16-8 victory over #9 St. Gregory’s Cavaliers. With both teams traveling a combined 18 hours (778 miles) to play Missouri Valley in the same weekend, a premier midseason neutral site match-up was in place. Indiana Tech got an early jump on the Cavaliers, blasting four straight goals in the first quarter to open up the game. Sophomore Brandon Gates had two of his four goals in the afternoon during the first quarter, giving Tech a 4-1 lead at the end of the first. James Smith notched his 21st career hat-trick for the Cavilers (6-3), but all three goals came in the first half as Indiana Tech was able to keep one of the NAIA’s leading scores off the scoreboard in the second half. The Warriors (3-2) continued their dominance in the second, with goals from Noah Puckett, Carlos Matta, William McKinney, and Gates to give Indiana Tech a 9-5 lead at halftime. Matthews Hyde cut Tech’s lead to 9-5 with 14:07 left in the third, and finished the night with three goals, two assist and went Hyde was 12-for-21 (57%) in face-offs. Indiana Tech ended the afternoon with five players scoring two or more goals on the afternoon. Jace Childs netted a hat-trick of his own, while Brian Nitcher, Mitchell Wilkins, and Puckett each ended the afternoon with two goals apiece. Both Indiana Tech and St. Gregory’s struggled on the man-advantage, including both giving up a short-handed goal while being two men up. Despite the convincing victory, Indiana Tech head coach Terry Nitcher believed his team didn’t perform to their full potential. This was the first of two games this weekend for Indiana Tech, as they have another non-conference showdown with #4 Missouri Valley. Tech will look to shake off the soreness as the finish off the trail end of a back-to-back. As Nitcher mentioned both the NAIA and MCLA, it is because Indiana Tech joins Missouri Valley, St. Gregory’s and other NAIA lacrosse programs who are part of both national governing bodies. Back in June 2015, the NAIA announced that it would be elevating lacrosse from “emerging sport” status to “invitational” status for the next two seasons. This officially made both men’s and women’s lacrosse varsity sports at the NAIA level. The 2015 announcement was one in the marking years in advance, and many NAIA programs used the MCLA format to build their programs. Indiana Tech, who has had a program since 2005, is one of the older programs in NAIA. “I think it’s a really good thing, I just want to see it done right, and I think they are doing a pretty good job rolling it out” Nitcher commented on the NAIA lacrosse. “There are defiantly some growing pains, and I’ve always been a fan of the MCLA, thought the MCLA has done a really nice job, but now we are at a point where you got growth at the NAIA level, and have a lot more teams coming in. 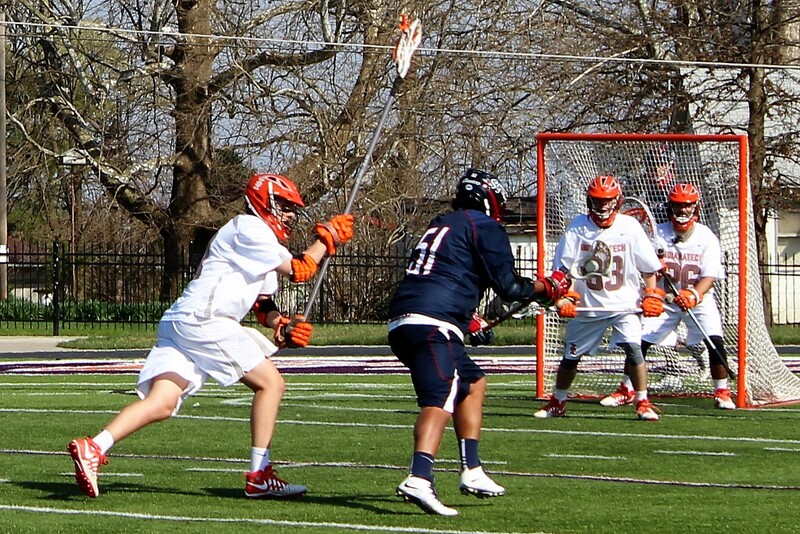 NAIA Lacrosse will continue to grow, and Indiana Tech still has eight regular season game left on its schedule, all which will count towards their MCLA schedule. The Warriors have their eyes set on California for the MCLA National Tournament, and the inaugural NAIA Lacrosse Invitational Tournament in Greenville, South Carolina May 4-7th. ← Power Rankings Week 12: Mammoth Still Top, Hawks and Rush Looking Up.